In his famous Sermon on the Mount, Jesus sets the tone for his ministry and teachings. He tells his listeners to not “lay up treasures on earth, where moth and rust destroy and where thieves break in and steal, but lay up for yourselves treasures in heaven” (Matthew 6:19-20). 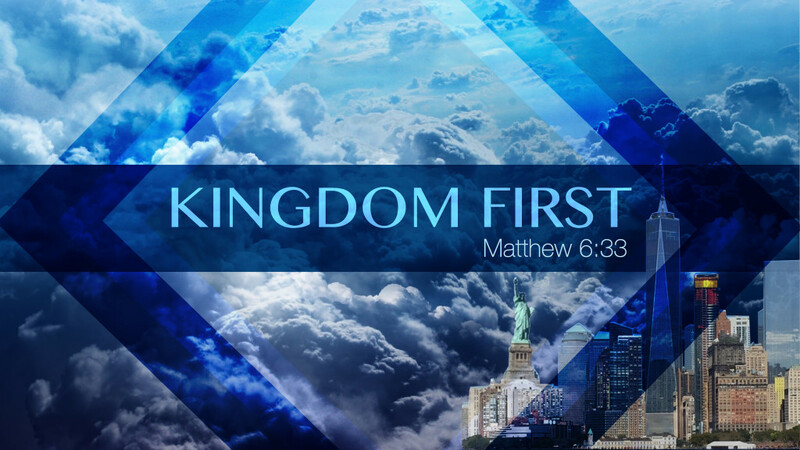 He goes on to say that his people should not worry about the future (including their financial future), but should “seek first the kingdom of God” and trust God to provide for their needs (Matthew 6:33). 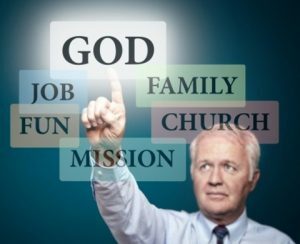 Clearly, the priority of God’s people is (or should be) the kingdom of God. When God’s people shift their focus to the things of the earth, they are focusing on that which is perishable and will not last. The word of God is power. Whatever God says, He can do and will do. The word is as powerful as God Himself, there is no way the two can be separated. God wants us to know the importance of His word in our lives, especially those of us that belong to His Kingdom; we must come to the point where we realize we need to give the word the highest priority in our lives. While money can help your family to have the things they need and want, money can’t give you a family, grow your family, make your family healthy, or even give your family lasting happiness. Family togetherness and love depends on time spent, not money spent. Sure, money can pay for doctor’s visits and prescriptions, but even the wealthiest folks in the world know that money can’t buy you health. And money can’t replace or remove poor health or disease. Choose nutritious food and go out for a daily walk for exercise. Those two things don’t cost a lot and go a long way to “buying” you health. Money may provide things that can make you happy for a while, but real, lasting happiness can’t be bought. It’s something that comes from contentment within. Knowledge and confidence in who we are and a purpose in life is true happiness. Money can’t buy that. You hear people talk about their faith in many different ways, and we do have faith in different things, but have you ever heard anyone claim to have faith in money? Probably not. While money may give us a sense of security, it can also fail us, and often does. Money let’s us down. Faith in something greater than ourselves, however, won’t. It’s a well known truism that money can buy you a bed, but it can’t help you sleep. While money can provide things you need and want, it can’t alter your state of mind enough that you have lasting peace. That’s something that comes from within and money will never provide it. Regardless of what some may think, money – or acquiring it – isn’t the purpose of life. We are taught early on that the love of money is the root of all evil. It’s important to read that very carefully; the LOVE of money is the root of all evil, not money. Use money as a tool with which to build a life. Making money your purpose for living is dangerous. Find a purpose in your life that fulfills you and gives your life meaning. While some equate joy with happiness, they are really two different things. Happiness is the bouncy feeling that comes along when something pleasant happens in our lives. Happiness can be as simple as an ice cream cone or a good book. Joy, on the other hand, is a deep-seated contentment that nothing can take away. And money certainly can’t bring joy into our lives. Money is superficial. Joy goes deep. Life is a process of personal growth and learning, and while money may provide the opportunity for that growth, it will never be able to provide the growth itself. Learning and growing come from a change within us not from the cash in our bank accounts, or the limit on our credit cards. Constantly learning new things opens our life up to new possibilities, new horizons. Money cannot open up our mind. Love is truly the greatest gift of life; the love of a child, a parent, a spouse, a sibling, or a friend. Love is what drives the world, and that drive should never be the love of money, but rather love for people. That’s what will bring real, lasting joy. Isn’t that what we’re all seeking? Money can’t buy love. Simply said and very true, indeed. While you can buy material things, pay for health care, even “buy” some people, there are things money can’t buy. Money can’t buy family, health, happiness, faith, peace, purpose, joy, personal growth, or love. Look at the hundreds of lottery stories; people who’s dream has come true, they are instant millionaires. Look at what happens to 99.9% of these people and I dare you to tell me that money is the answer to all your problems. Money is a great tool and one that we all need to provide a good life for our families. But money is not the be all and end of life. Money is simply a tool. One that will help fashion your life, but not create it. Next time you get caught in the money trap, take a few minutes to remember what in life is REALLY important. Your loved ones will be glad you did, and so will you. The bottom line in ALL this is that the people of God are commanded to submit to God. If a person puts his or her dreams and desires ahead of God and God’s principles, it leads to idolatry and greed. If one submits his or her desires to God, it leads to wisdom and contentment. Like the Apostle, Paul tells Timothy: “Godliness with contentment is great gain” (I Timothy 6:6).